LPG World Market by Dr. These marine and industrial coat- ings are inherently corrosion resistant. They outperform even traditional epoxy/polyamide systems formu- lated with costly rust inhibitive pig- ments. 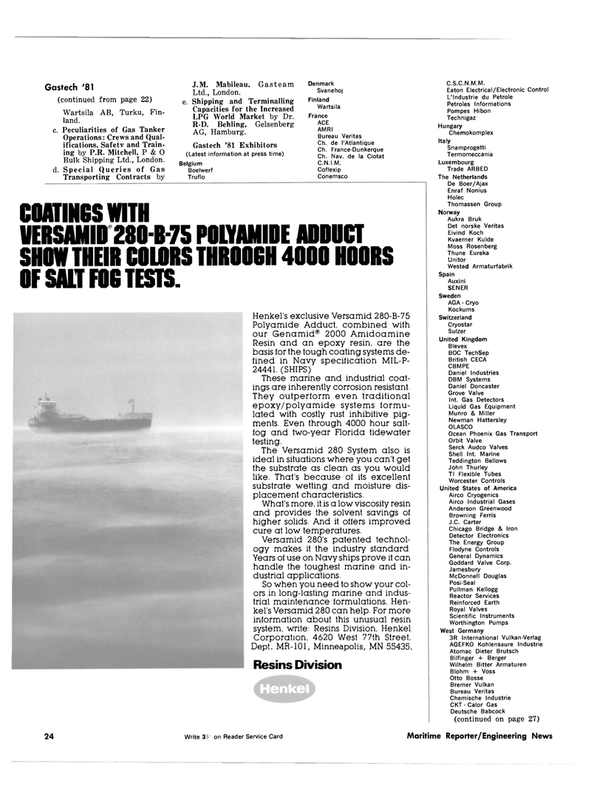 Even through 4000 hour salt- fog and two-year Florida tidewater testing. The Versamid 280 System also is ideal in situations where you can't get the substrate as clean as you would like. That's because of its excellent substrate wetting and moisture dis- placement characteristics. What's more, it is a low viscosity resin and provides the solvent savings of higher solids. And it offers improved cure at low temperatures. Years of use on Navy ships prove it can handle the toughest marine and in- dustrial applications. Dept. MR-101, Minneapolis, MN 55435.